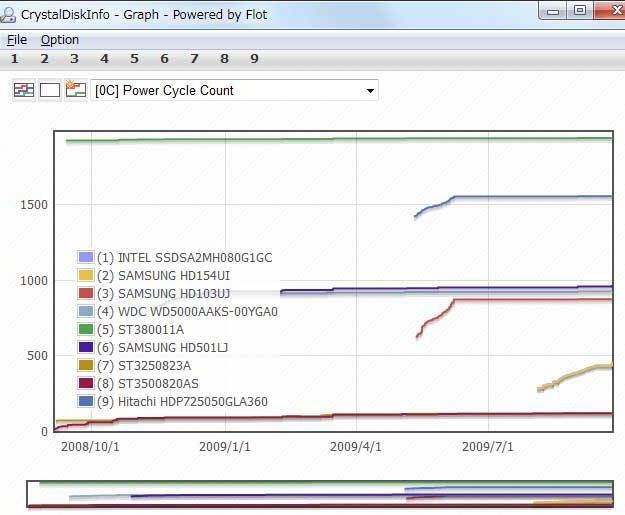 The new version of the application CrystalDiskInfo 5.5.0 – a universal tool for monitoring and diagnostics of hard disk drives. C through the provided utility owners of personal computers will can analyze the work of media, identify and solve problems in their work and to prevent the loss of important information in connection with the failure of the hard drive. 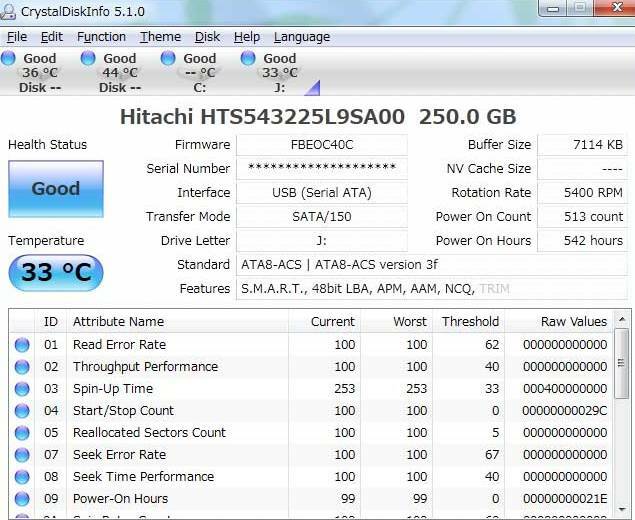 Choose a drive and CrystalDiskInfo offer you a lot more information about it, including the current firmware, serial number, interface, and much more. Attention users are offered two more useful indicator. The figure in the field of Power-on Count represents the total number of completed downloads and figure Power-on Hours help with sufficient accuracy to set life of the vehicle and a timely decision on his replacement. The program also supports the monitoring and display of SMART, while PC owners need to pay attention to the color of the proposed numbers. Indicators marked with yellow or red, indicate potential problems. CrystalDiskInfo 5.5.0 from previous versions of enhanced support for solid state drives Intel SSD and OCZ Vector, and the latest version of Internet Explorer 10. CrystalDiskInfo 5.5.0 application running under the operating system Windows XP and later versions, and is available for download at the developer’s site: http://crystalmark.info/?lang=en. Attention users are also invited to a portable assembly CrystalDiskInfo Portable 5.5.0, does not require installation on the hard disk drive.